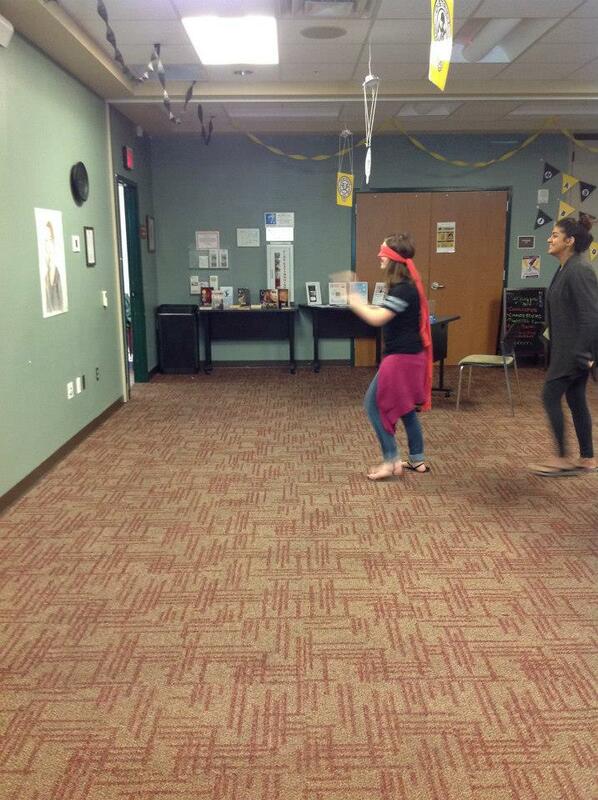 So I asked my TLAB (Teen Library Advisory Board) students what they wanted to do for Halloween this year. And the verdict was unanimous: Humans vs. Zombies. With NERF guns. After hours. In the library. Don’t get me wrong: I love crazy, off-the-wall programs. 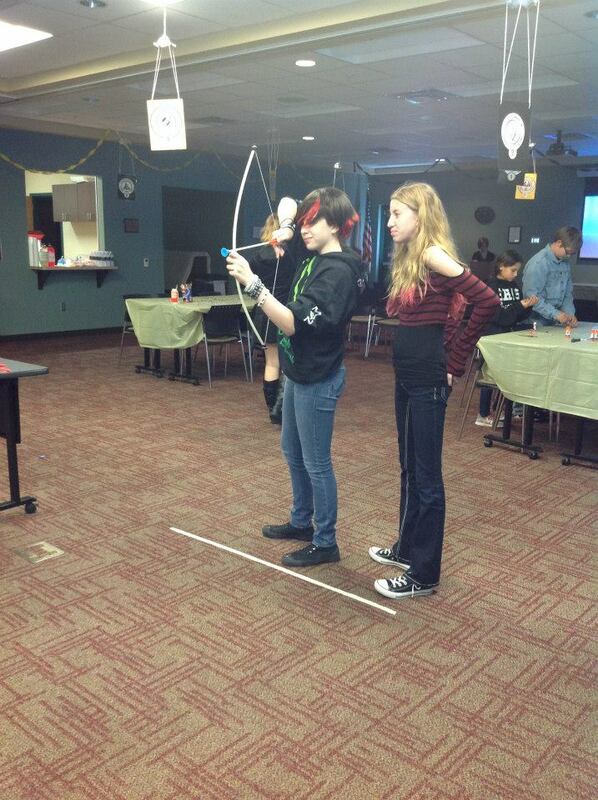 But the prospect of hosting a full-fledged NERF war in the stacks after dark made me a little nervous. Would the Director go for it? Would people show up? Would we actually be able to pull it off? 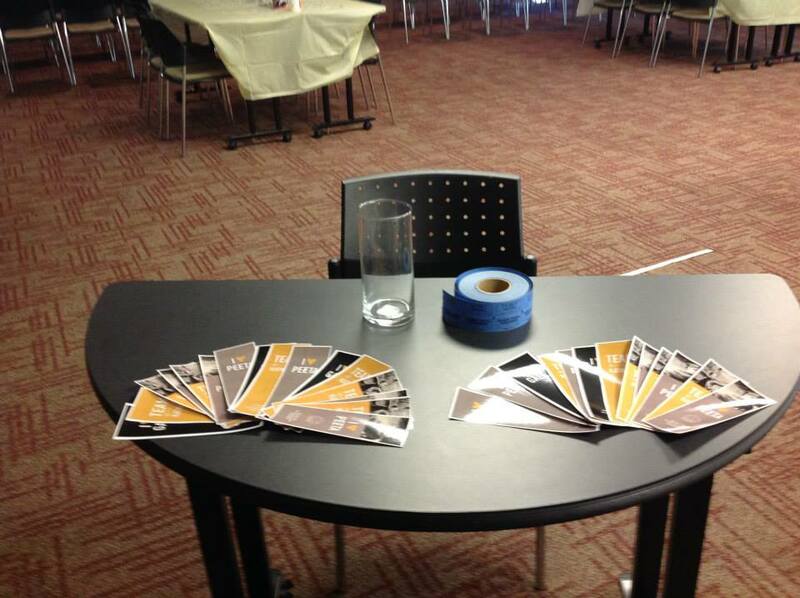 In the weeks leading up to the event, we marketed our program. Hard. My volunteers made a commercial that was broadcast at the local high school and handed out flyers to all of their friends. Teens had to register in advance and fill out a liability waiver. I bought ten Zombie Strike NERF guns (since that’s all our budget would allow). The first ten registrants were guaranteed a gun; anyone else had to bring their own. The game play was pretty simple. We herded all the visiting teens into the survival shelter (aka our meeting room) for review of the rules. Everyone, except my volunteers, started out as humans. 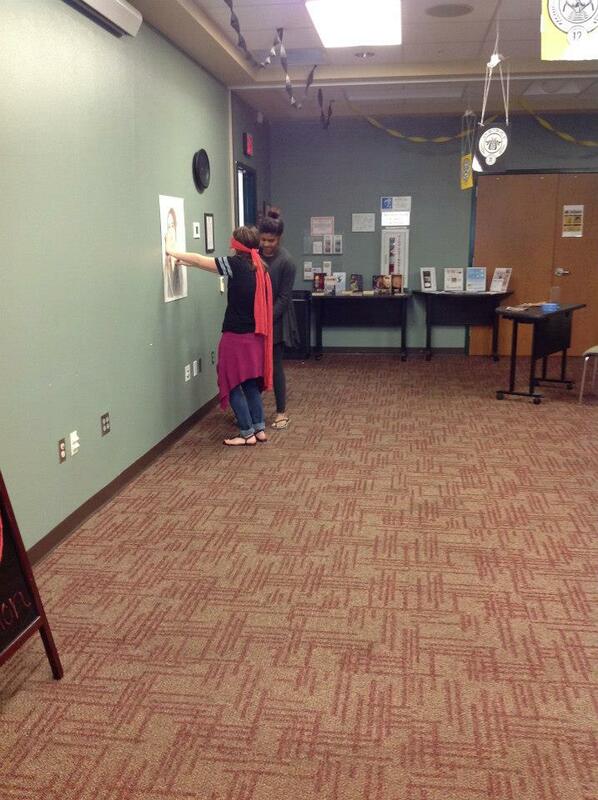 Humans could shoot zombies anywhere but the head (our zombies were a special mutation). A zombie who got shot by a human had to go to a penalty box for 1 minute before rejoining the game. Any human who got two-hand touched by a zombie was “turned,” had to surrender their gun, and don a green “zombie” bandana. Myself, our director, and another adult served as referees. Sometimes, a good teen program just falls into your lap. Which is precisely what happened just a few weeks ago here at my new library. Um, yes. A thousand times yes. 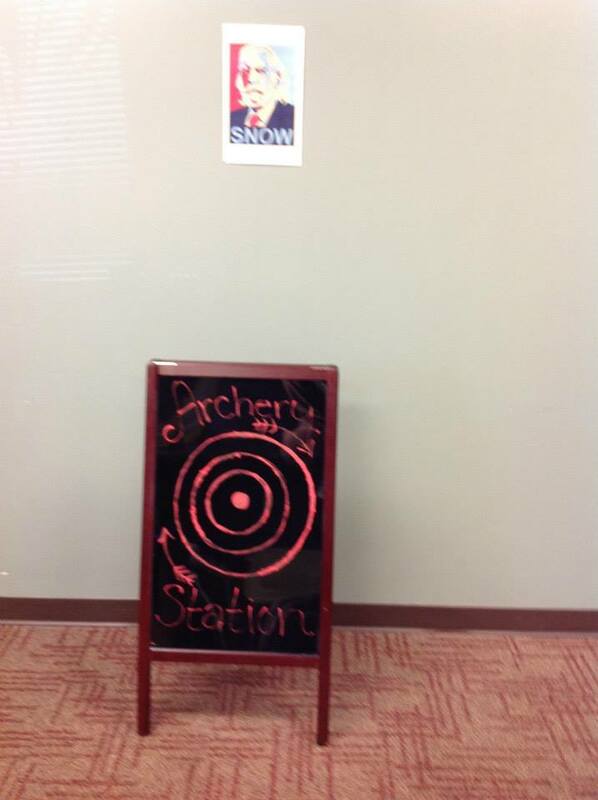 The program is only a month old, but we already have 5-8 kids who attend regularly. Their first project: making a Summer Learning Club promotional video. And I have to say, I may have started crying the first time I watched it. I’m so stinking proud. Better yet, aside from benefiting us, this program meets an actual community need: our local high school doesn’t offer a film class, so the library is the only resource for these kids. 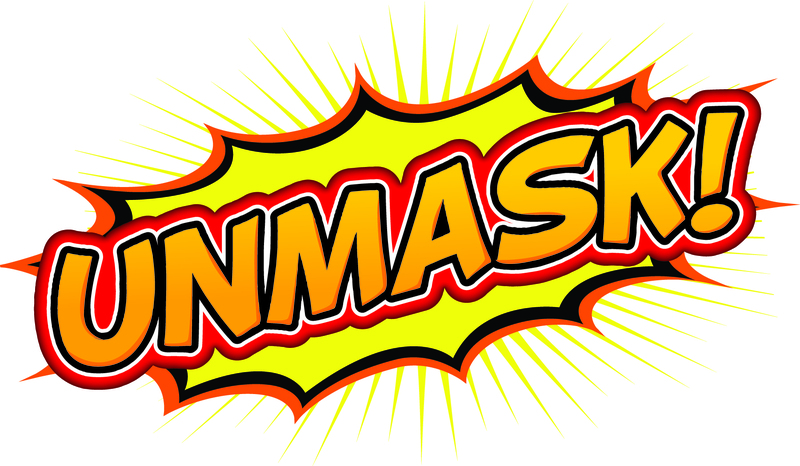 Movies are always a big hit at the library but, sometimes, you need to do something different to break up your routine. 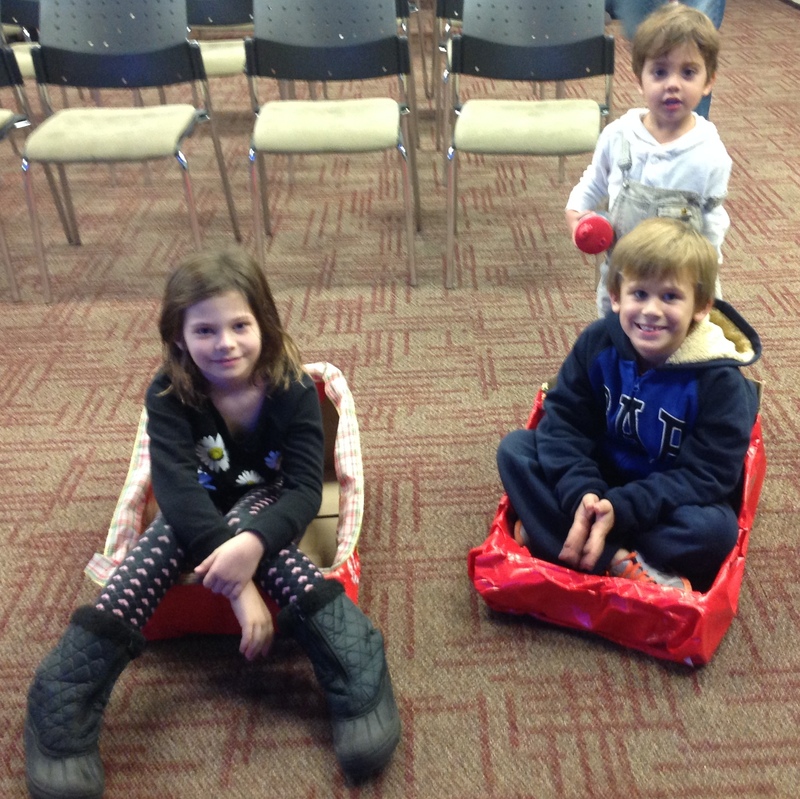 This month, we decided to host a “Drive-in-Movie” where our kids could decorate a sleigh to sit in while they watched Polar Express. 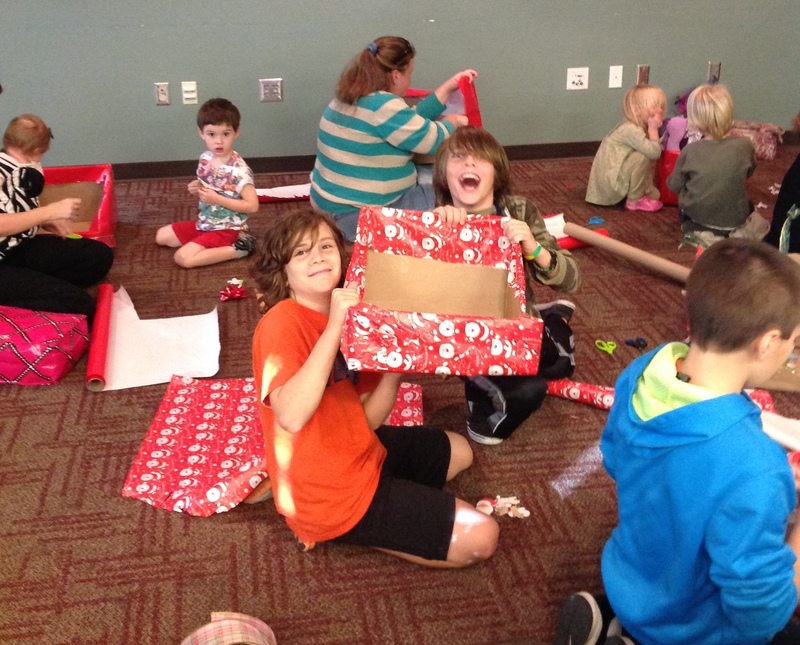 To make the sleighs, we used old cardboard boxes left over from our quarterly FOL book sale. 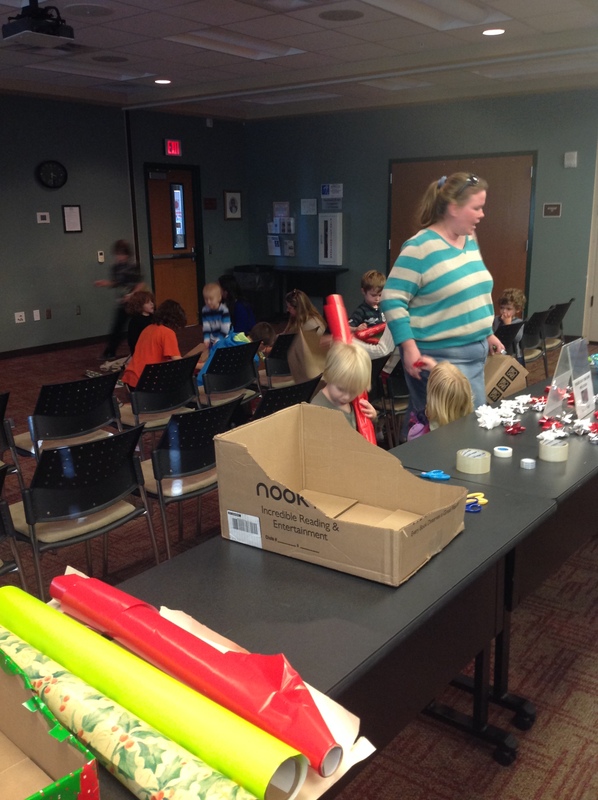 Our teen volunteers used box cutters to create “curvy” shapes and presto! Insta-sleigh. 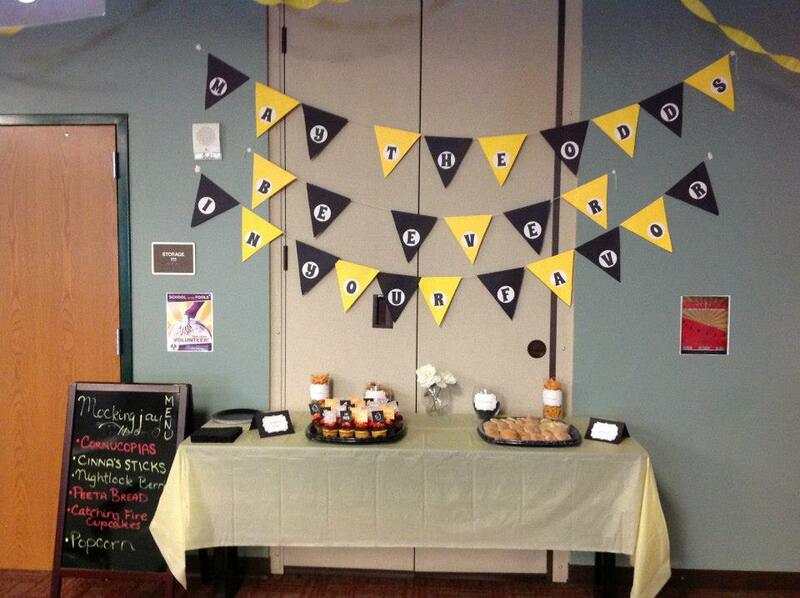 To keep this activity organized, we assembled all the pieces “buffet” style. That way, each child could gather his or her supplies and take their sleigh away to work on it. The kids had an absolutely fantastic time. There was glitter, tape, and wrapping paper everywhere! But the mess was half the fun. 🙂 Once the sleighs were built, our kids picked a cozy spot to sit and snuggled up with some popcorn to watch the movie. 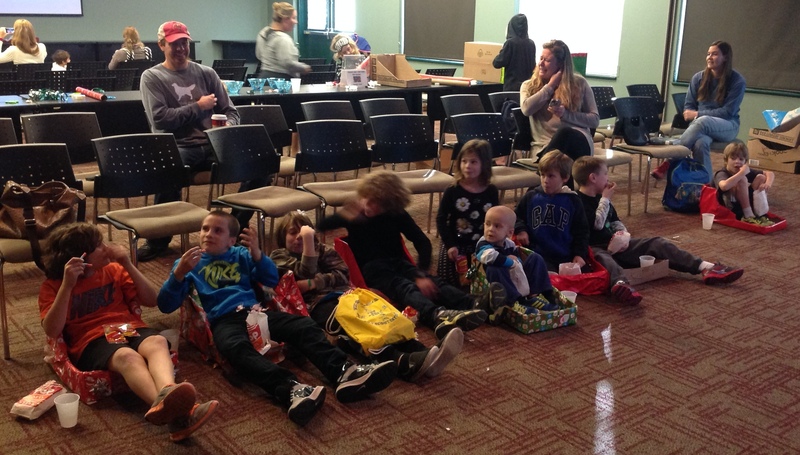 In total, we had 25 kids and 12 parents at this event – not too bad for a Wednesday afternoon! We’ll be bringing this one back next year. Yes. You read that right. 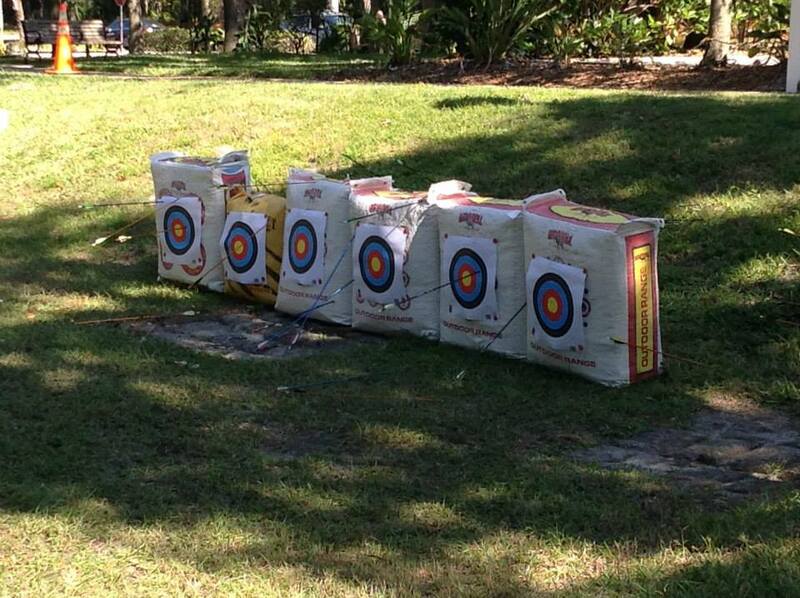 Archery. At the library. 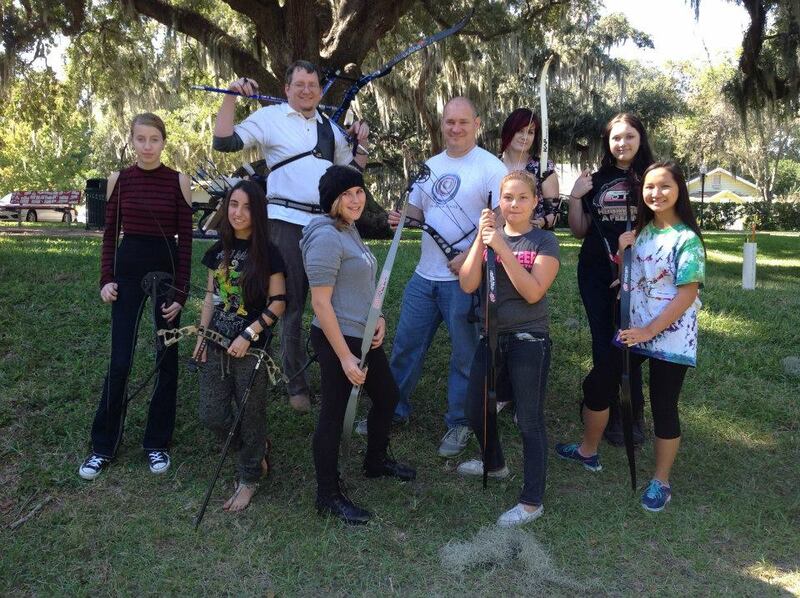 We partnered with the Tampa Archery School to make this program happen and held it in our large, grassy yard. Bryce Smith and several of his fellow instructors came out and brought all of the necessary supplies: bows, arrows, targets, etc. 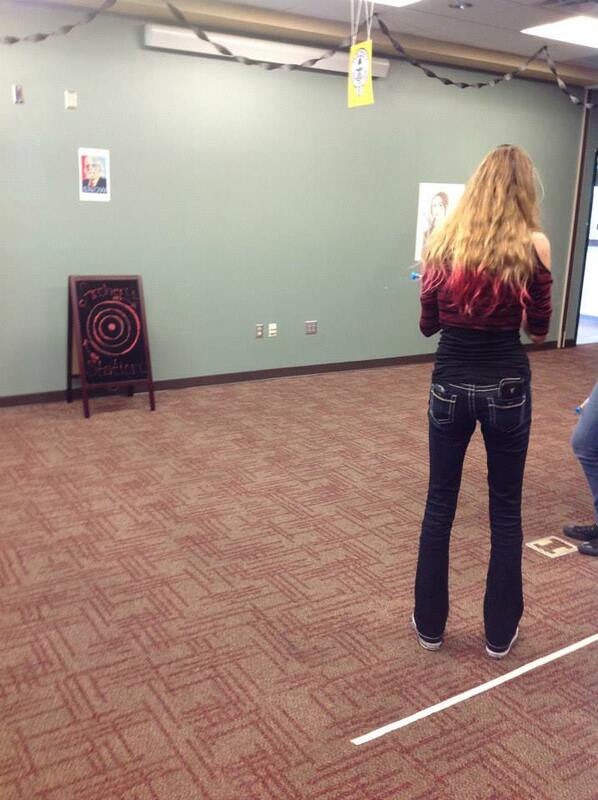 Bryce walked our teens through a fifteen minute orientation and lined them up to shoot. 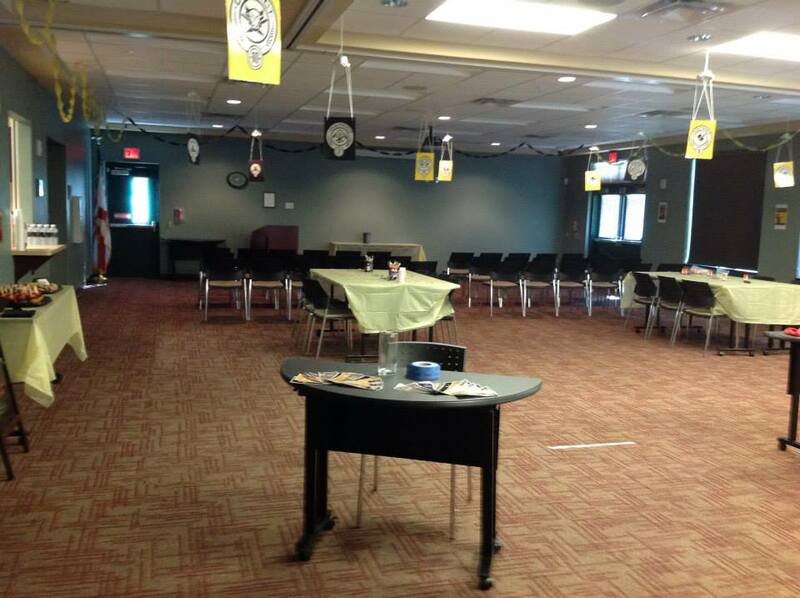 Our color scheme was black and yellow, so I created parachutes with each of the twelve District crests and hung them (and some streamers) around the room. At the entrance, I had laminated bookmarks courtesy of Living Locurto. 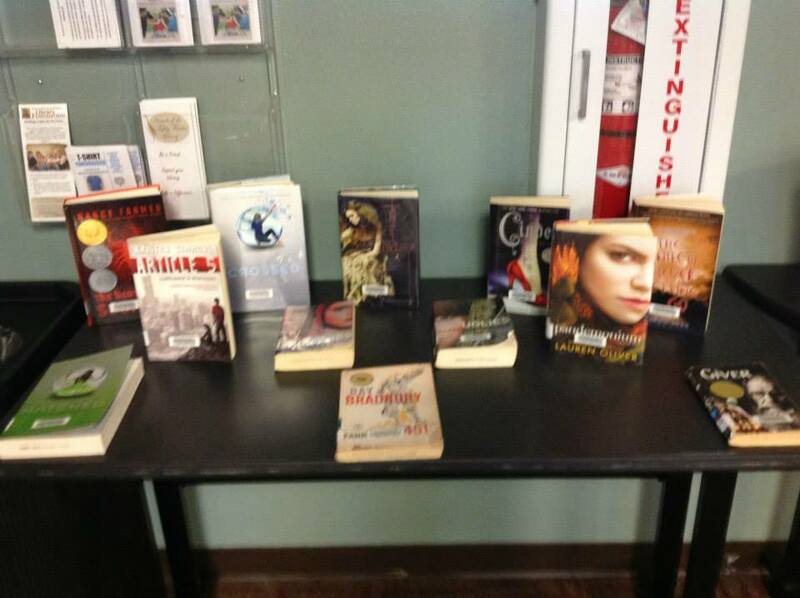 I also had a dystopian book display to encourage additional reading. 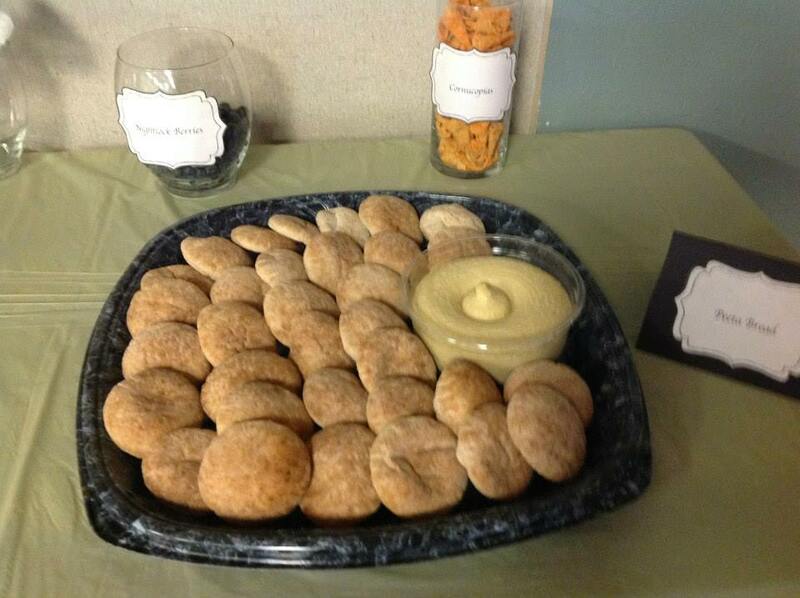 Our menu included Cinna Sticks, Nightlock berries (blueberries), Cornucopias (Bugles), Peeta Bread & Hummus, and Catching Fire Cupcakes. 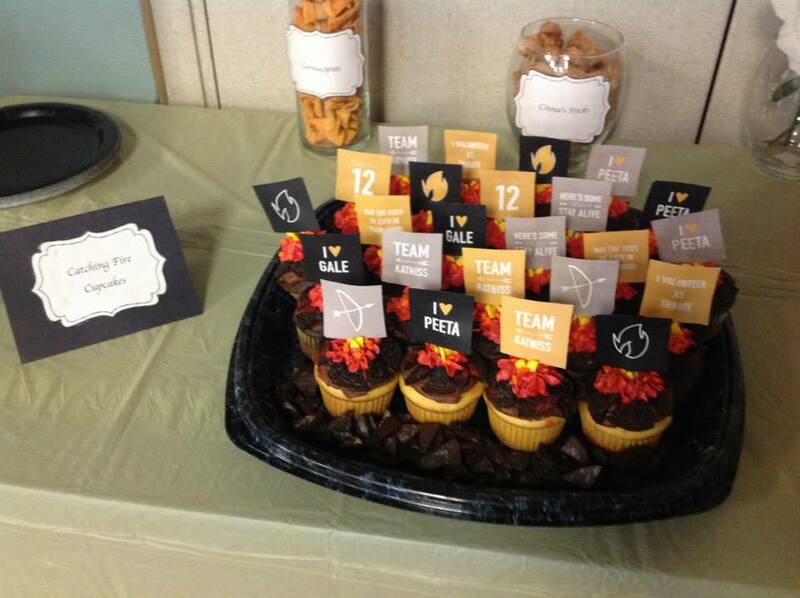 The two dozen cupcakes were generously donated by Sweet Ida Mae’s Bakery. 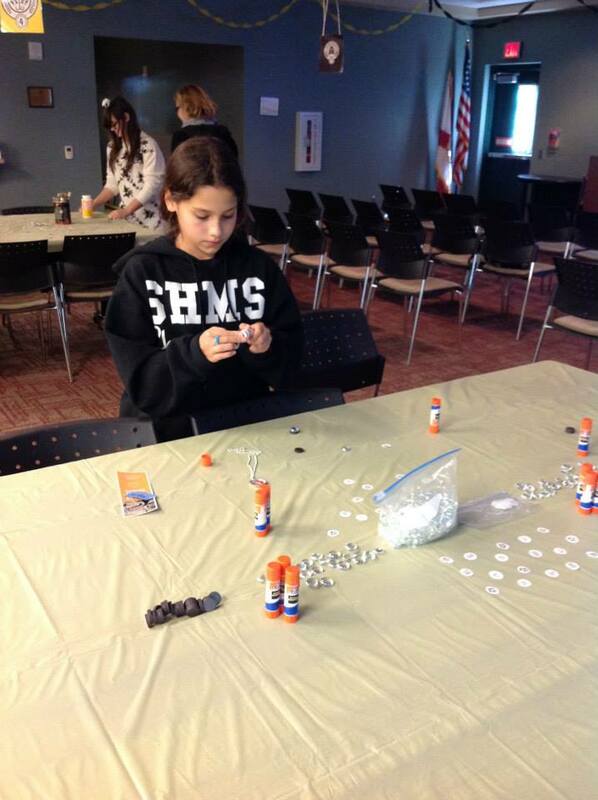 We offered two options for this program: locker magnets and bottle cap keychains/necklaces. 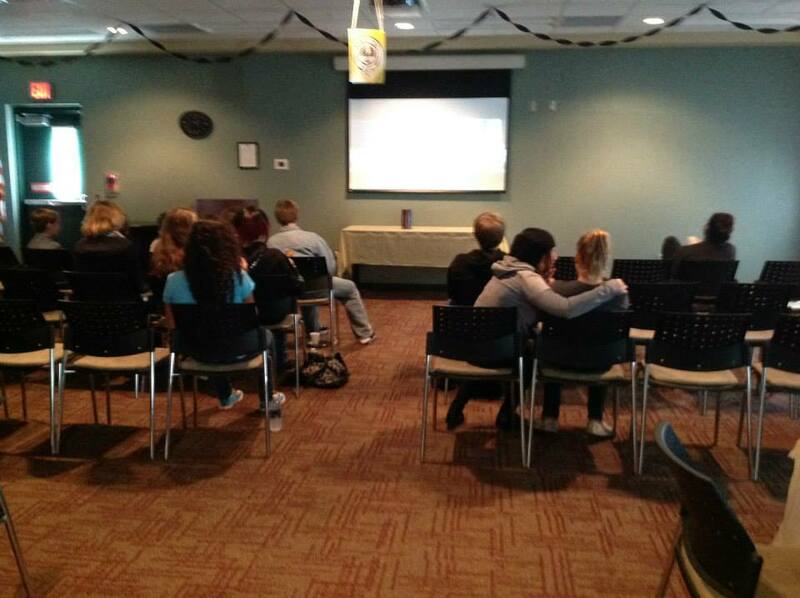 Afterwards, we all settled in to watch Catching Fire. 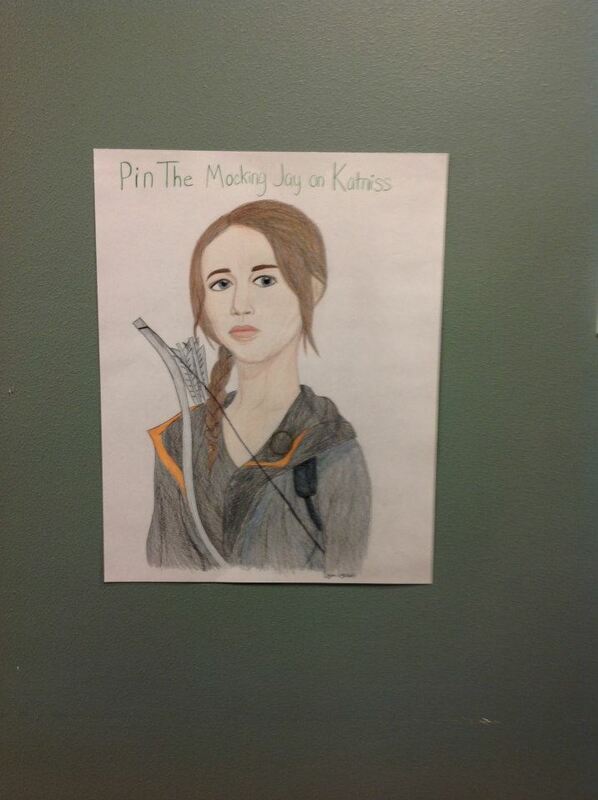 I raffled off a copy of the trilogy and tickets to see Mockingjay. 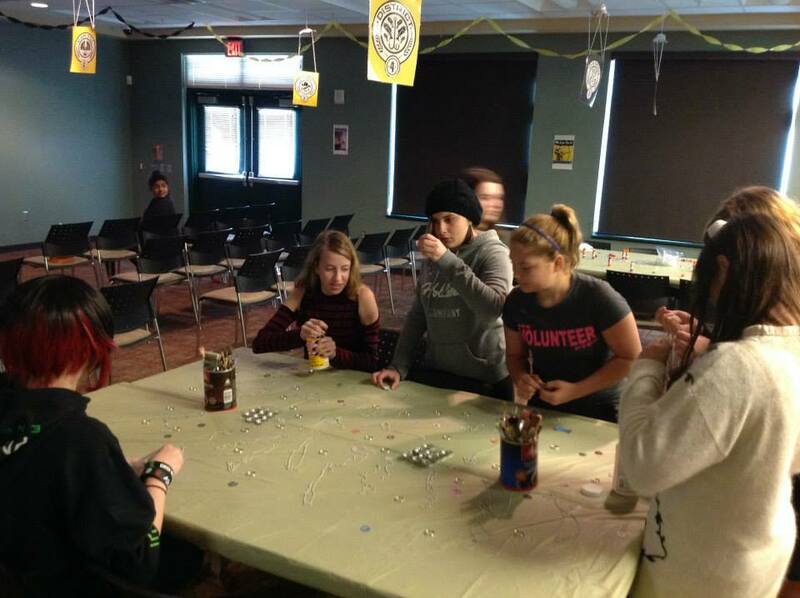 In total we had 23 teens and tweens attend this event. I’m very much looking forward to doing it again next year!